Give a man a fish and he eats for a day. Teach a man to fish and he eats for a lifetime. 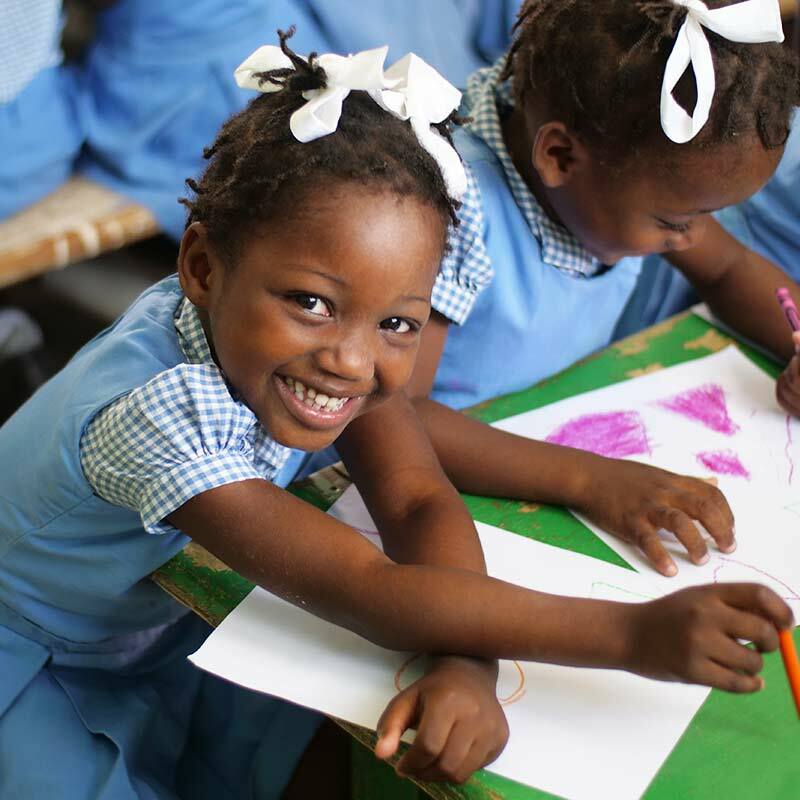 Due to decades of high illiteracy rates in Haiti, a quality education is cherished as a means of hope for the future of the Haitian people. 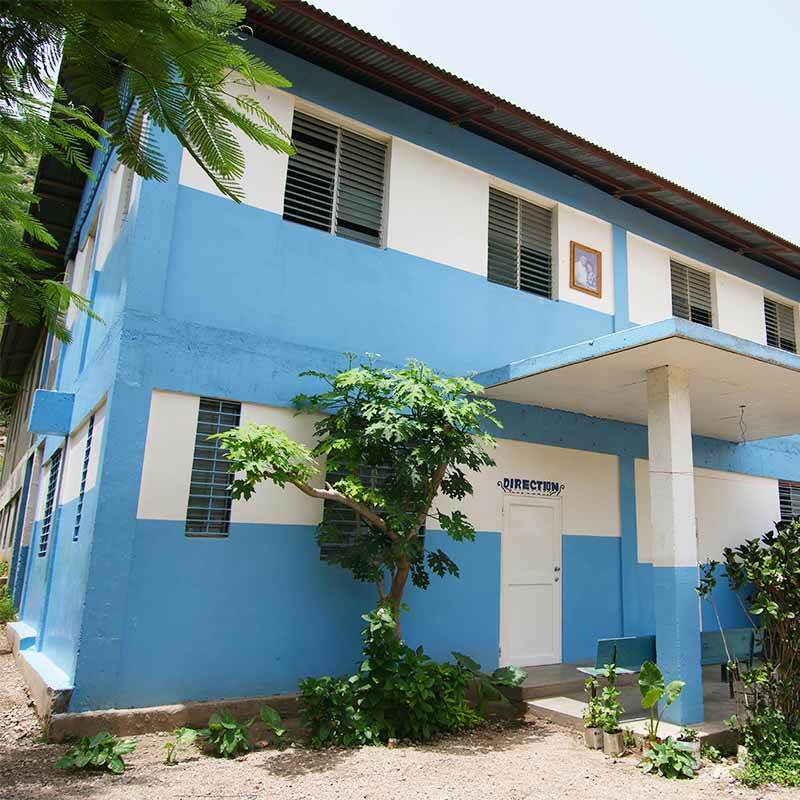 Institution Mixte Peavey (IMP) provides quality academic and spiritual support to the community of Dessalines. You have heard the saying, "Give a man a fish and he eats for a day. Teach a man to fish and he eats for a lifetime." 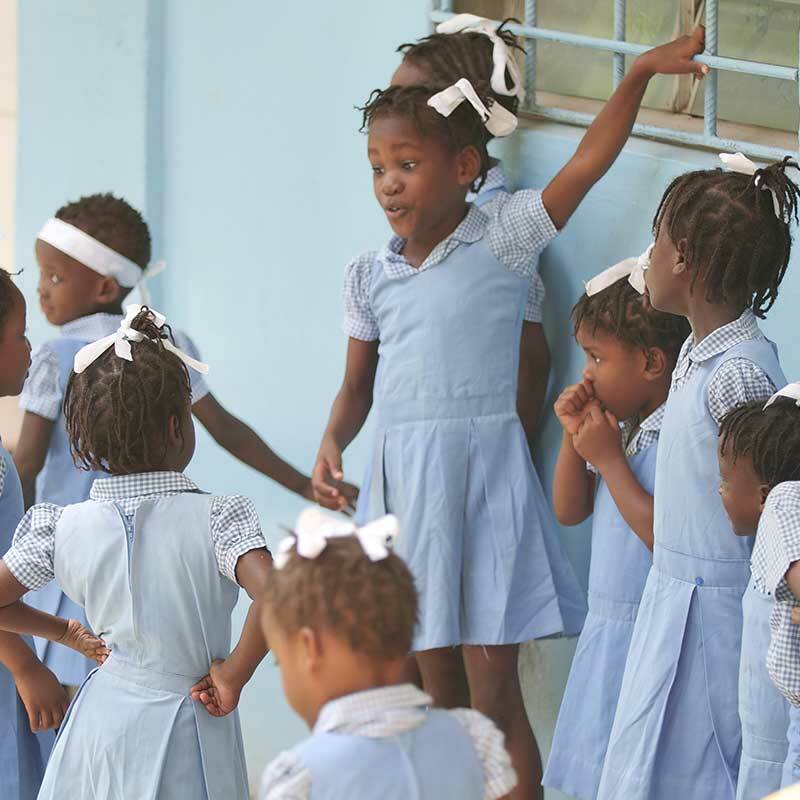 Education offers hope to the future of Haiti. EGO is committed to educating the orphans, as well as the children in the community, with scholarships for those in need. $22/month or $220/year: this includes school tuition, uniforms, books and supplies. for $50, materials can be purchased for one desk which seats 3 students. “Blessed is the one who perseveres under trial because, having stood the test, that person will receive the crown of life that the Lord has promised to those who love him."